Northwest Florida is known not only for its beaches, but for its pristine rivers and surrounding forests. 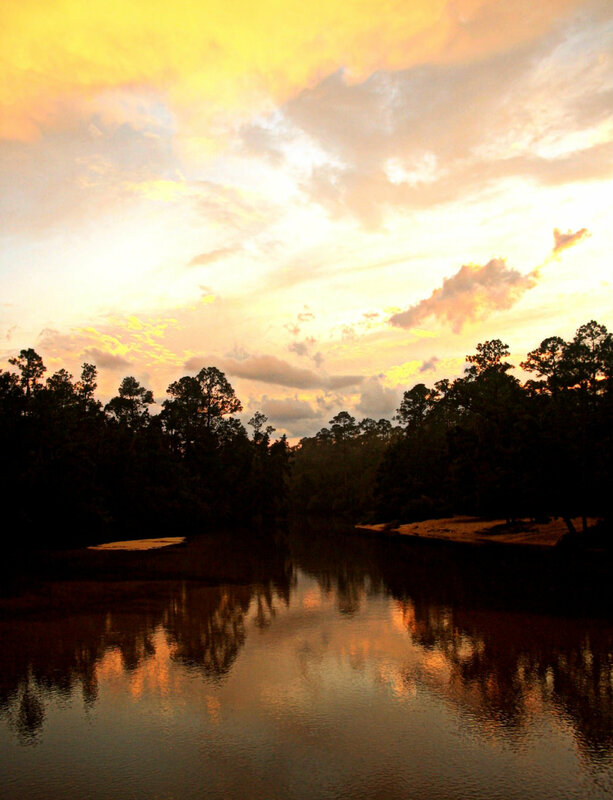 The Blackwater River is the panhandle’s main and most unspoiled body of water, flowing from southern Alabama and through three Florida counties before reaching the Gulf of Mexico. 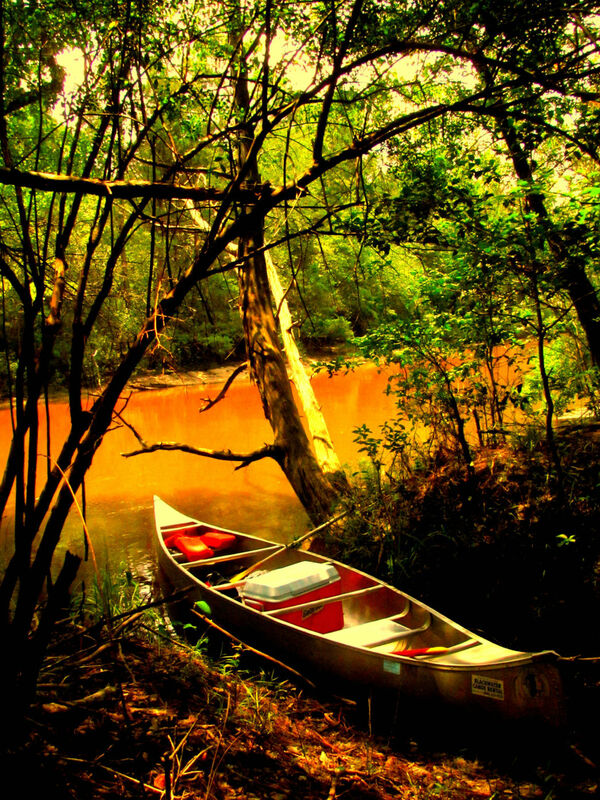 Its quiet, shaded 56 miles through cypress swamps and pine forests make the Blackwater an ideal canoeing destination, with locals and visitors alike taking full advantage of this tranquil river’s cool, dark waters. The name “Blackwater” is applied to rivers across the world with the same ecological composition: clear water stained deep brown or black by the tannins leached from decaying vegetation. These characteristically slow-moving rivers most often meander through wetlands and swampy forests—two things northwest Florida has in abundance. The importance of Florida’s Blackwater River and the surrounding ecosystem is such that a state forest bearing the same name was created in an effort to protect the river and the surrounding lands. 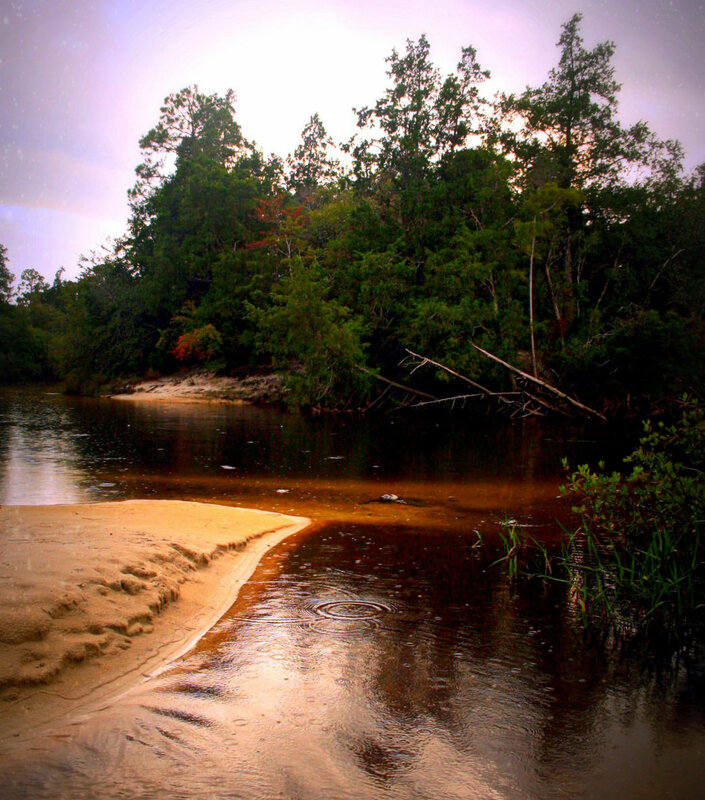 With its quiet thickets of trees broken by the occasional sandy white beach, the Blackwater has become a popular paddling spot in the greater Pensacola area. Rental companies like Adventures Unlimited and Blackwater Canoe Rental offer trips down the Blackwater in varying distances, including overnighters. 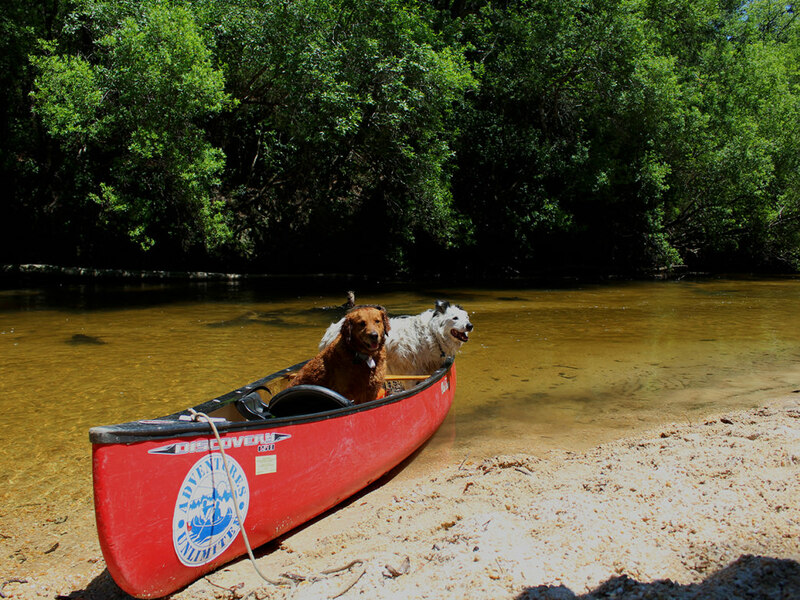 And because Blackwater State Forest is pet-friendly, water-loving dogs are welcomed and encouraged to tag along. While rentals come with transportation to and from drop-off points, those who own their own vessels can take advantage of drop off points at various places along the river. A lack of reliable information coupled with the river’s altered course—thanks, in large part, to hurricanes Opal and Erin in 1995—can make it tricky for even locals to decipher where to launch a canoe or kayak. But the best map can be found here, thanks to the state of Florida. These access points focus on the designated Blackwater Paddling Trail, which is at the heart of the river and does forgo the northern and southernmost sections, including its Alabamian beginning and its dump into Blackwater Bay. However, after the last listed launch point, Deaton Bridge, the river quickly becomes unnavigable thanks to the aforementioned storms, and we recommend sticking to this well-maintained 31-mile trail. The typical time paddlers spend on this trail is three to four days, although determined paddlers could likely trim the time down to two days. Campers will find the sandy white shores beautiful, stark contrasts from the tanned waters of the river. You may be surprised to know it was quartz from the Appalachian Mountains, not seashells, that created these particular Floridia beaches. Humans aren’t the only creatures taking advantage of Blackwater River—Florida’s unofficial mascot, the American alligator, can be found in abundance thanks to swampy shores and dark waters. River otters, white-tailed deer, hawks, herons, and even bobcats can be found in and around the Blackwater, giving paddlers plenty to look for while floating along. Fishing and hunting are allowed (with permits) on the state-regulated land along the paddling trail. The hunting seasons and regulations in place are strictly enforced, even regarding the invasive and ecologically damning wild boar. Fishing is most bountiful near log jams, with bass and bream being the most common catches. Birding is a popular activity while floating or perched upon a shore, with an eclectic crew of feathered friends calling this area home. The Blackwater River’s proximity to the Gulf of Mexico brings in birds more often seen in saltwater habitats, such as heron, egrets, and sandpipers. The surrounding forested land also houses the beautiful ibis and several species of predatory birds, including osprey, hawks, kites, and, seen by the luckiest of visitors, the bald eagle, whose numbers are steadily recovering. If a shuttle service is hired for an afternoon or weekend-long trek downstream, paddlers won’t have to worry about transportation to and from their vehicles. But independent canoers and kayakers will probably want to arrange transportation downstream once they reach their intended stopping point. Paddling upstream is doable, but tough---despite the average flow speed of two to three miles per hour. Spring and early summer is typically soggy, and the river can and will pick up speed with falling rains. Check the forecasts and pack wisely, making sure to include sunscreen and insect repellant. Alcoholic beverages are allowed on the river, but leave the glass at home, and make sure to bring cash for state park and launch fees. 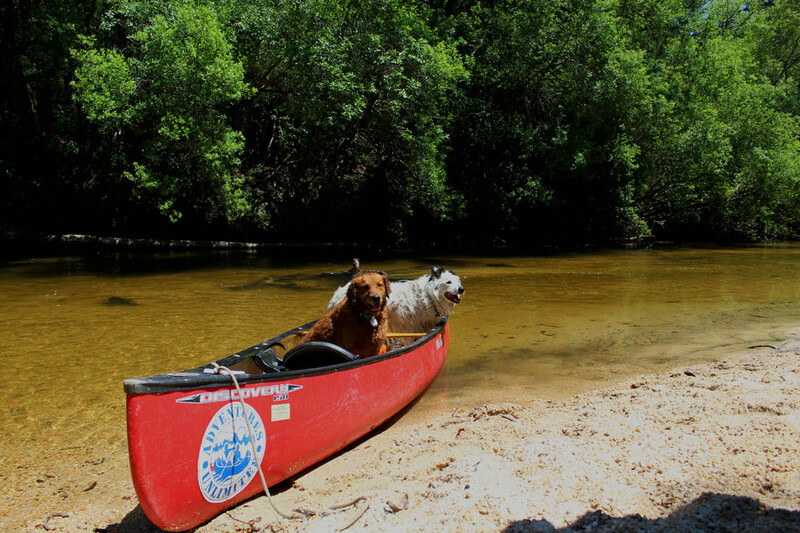 Grab a friend, grab a cooler, and grab your four-legged friend: Blackwater River is ready when you are.